The high-performance Ricoh SP 8400DN is designed to support time critical printing with fast output & reliability, ensuring that this robust printer supports your business. This A3 60ppm black and white powerhouse prints its first page in just 2.2 seconds and comes with multiple finishing options, stapleless mode and internal-folding capability. With its low power consumption, this eco-friendly printer meets strict BAM criteria and offers a low overall TEC value, helping you meet your environmental goals while saving you money. 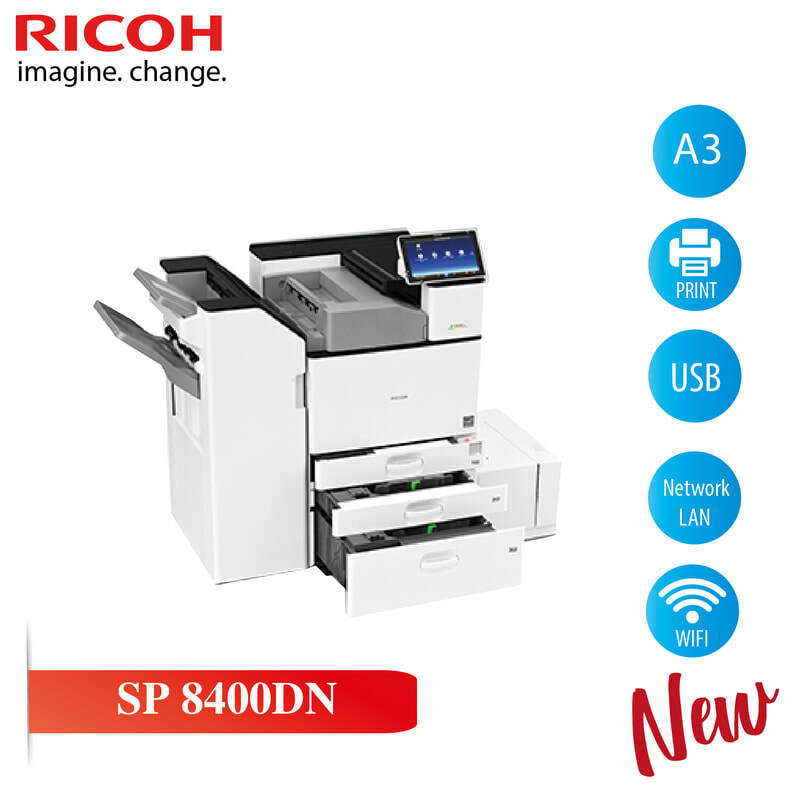 The Ricoh SP 8400DN is the first A3 Black and White printer with a Smart Operation Panel, a tablet-like 10.1-inch interface that gives easy access to your files in the cloud and extends your printer’s functionality with smart apps. This high output model comes with a standard paper capacity of 1,200 sheets, allows up to 4,700 sheets, and supports printing on 300gsm stock.